Ancient Arts In the News! 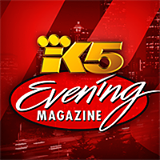 KING-5 Evening Magazine featuring an interview with Dr. Darla Rewers plus one of our cat patients getting acupuncture. Watch the news segment here. Natural Choice Network's "Natural Pet Care" with Dr. Darla Rewers on KKNW 1150 am radio. ​Listen to the Archive from 05-31-16 here. Dr. Rewers featured on Rover.com's Daily Treat in the article "True Stories: Veterinarians Share Inspiring Tales of Overcoming Career Challenges." "Animals with Dr. Darla Rewers" featured on Travis in Seattle's Create the Life You Want on KKNW 1150 am radio. ​Click here to read the full interview. It's Raining Cats and Dogs discussing pet nutrition and taking phone calls. ​ Listen to the podcast here. Dr. Darla Rewers featured on "5 Elements: Conversations with Holistic Veterinarians." ​Read the full interview here. Dr. Darla Rewers answers NEKO Cat Cafe's question, "Why do cats purr?" Seattle Met Top Vet, ​all 3 years! the Thunder Shirt for your dog or cat during Fourth of July fireworks. discussing the health benefits of acupuncture and herbs in dogs. discussing the health benefits of acupuncture and herbs in cats. Dr. Darla Rewers featured on DJ Eluv's radio show Ultrasounds. Dr. Darla Rewers featured on Sound Integrated Health discussing benefits of Tui Na Chinese massage in pets.